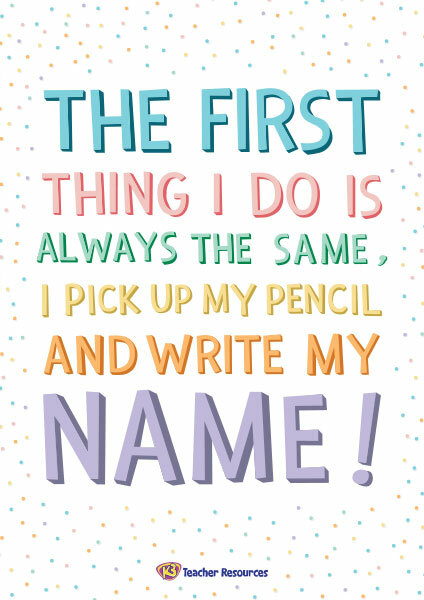 Ideal to use in the classroom as a daily reminder for children to write their name on their work. Refer to the poster on a regular basis. What comes next? – Ask the children to design their own poster to share this message.